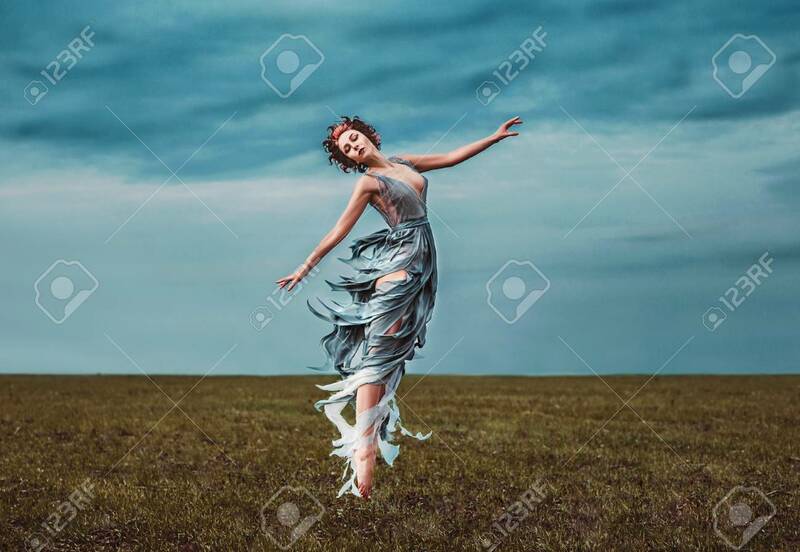 Girl Muse, Dancing In A Field. As The Picture From An Old Book. Fashionable Toning, Picture In The Style Of Fantasy. Background Gloomy, Cold, Stormy, Autumn Sky. 免版權照片，圖片，畫像及圖片庫. Image 70718283. 版權商用圖片 - Girl muse, dancing in a field. As the picture from an old book. Fashionable toning, picture in the style of fantasy. Background gloomy, cold, stormy, autumn sky. Girl muse, dancing in a field. As the picture from an old book. Fashionable toning, picture in the style of fantasy. Background gloomy, cold, stormy, autumn sky.